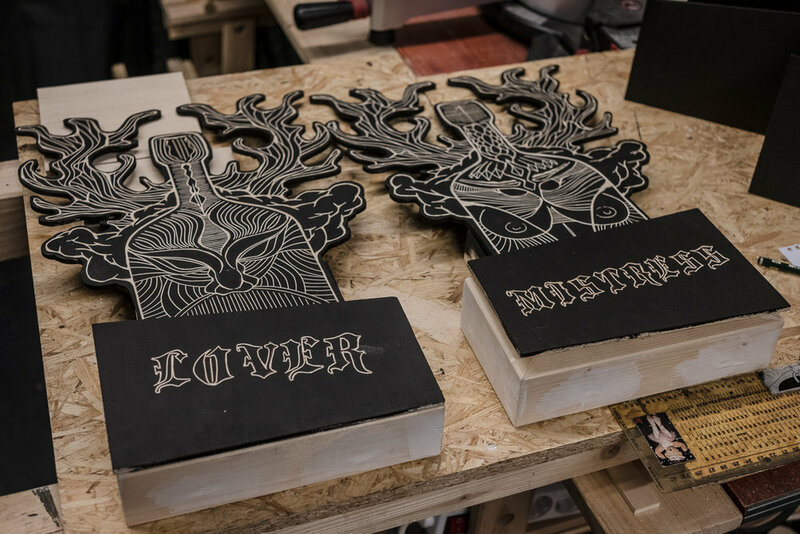 Four new sculptural woodcuts shown first at the exhibition of„The Dirty Hands Of Alex Diamond“ - a small series dealing with the spirit(s) of drinking. 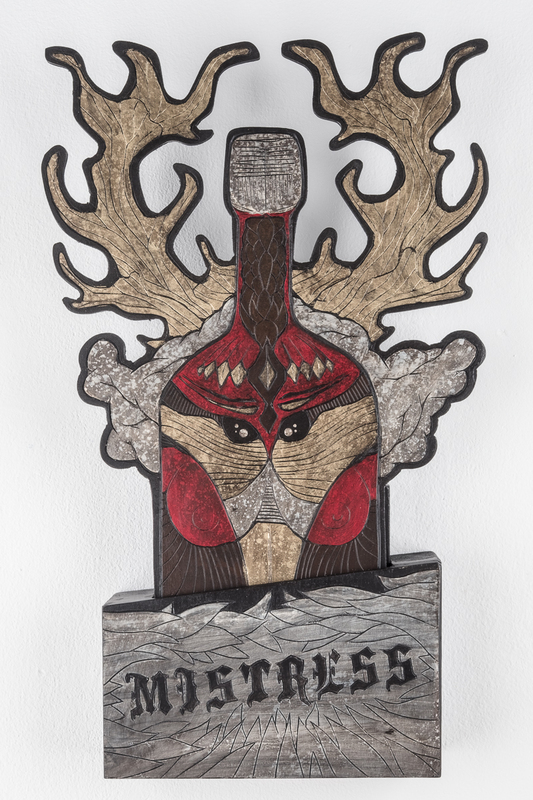 The series is called „About That Drink ...“ and currently features the individual works „Mistress“, „Lover“, „Brother“ and „Saint“. Each work is a stand-alone piece, but can also work in combination with the others. These works can be mounted on a wall or placed free-standing. You can check availability here.